» The Best Looper Pedals On the Market Now! As a musician, you can create magical music or an entire symphony of sound by simply layering loops on each other using the best looper pedals on the market during a live performance. If you’re someone who’s fond of complex patterns and intricate harmonies, a good looper pedal can come in handy during live performances. You can play your recorded music, add live music to it, and so on. The experience provided by looper pedals is simple, yet so powerful. With the best looper pedals to your rescue, you can overcome the limitation of using two hands and one instrument. So, if you want to take your guitar live performance to the next level, you should consider adding a good quality looper pedal to your pedalboard. In this guide, we’ll discuss looper pedals in detail, and list the 5 best looper pedals on the market currently. By the end of this guide, you’ll be able to pick the best one for your next live show. Also, with our list of best guitar pedals, you are sure to sound like a professional. First things first – Why do you need a looper pedal? A looper pedal is a device that records a specific part of the performance and plays it on a loop. You can add effects to the original looper pedal recording such as speed adjustments, pitch adjustment, and a lot more. In simpler words, loopers are easy to understand a concept. You record what you’re playing, and as soon as you kick the pedal, the segment you just recorded gets played providing you with a base to add more music and record it all over again. Each loop pedal comes with a maximum loop length, and this can vary from one looper pedal to another. If you don’t want your track to sound redundant, you may require a greater maximum cap. Some looping pedals on the market allow you to layer multiple loops, sometimes even infinite, while others come with a fixed upper limit. Therefore, check the looping time allowed and buy accordingly. As far as the memory is considered, many looping pedals allow you to save loops in separate slots for better management and convenience. Some also allow you to save loops to your smart device or computer. Memory is a critical factor that you must consider if you’re planning to use the looper for more than mere jamming. Different looper pedals come with different control concepts and layouts. Therefore, make sure you buy the one that’s easy to handle and manage. Low-budget loop pedals are compact and have just one footswitch for different looping requirements. This can be a limitation at times. Some looper pedals have separate start and stop buttons. Some even have different switches for different loops. Several looping pedals on the market even come with footswitches for switching between effects or exploring the stored loops in real time. The more the switches, the better. Some looper pedals with simple designs also allow you to plug external expression and foot pedals for better control. Basic looper pedals only have a single loop line and allow you to play the loops one at a time. The best looper pedals can easily handle multiple loops and allow you to play them at the same time. Some looper pedals even come with more than one input or output, which allows you to loop multiple instruments using a single looping pedal. If you’re planning to create songs with looping as your primary concept, you’ll need a multi-loop pedal. Great looping is all about perfectly timing the loops. If you’re a looping beginner, this can be a difficult task. Many looper pedals come with unique features that make looping easy and fun. The most commonly used synchronization feature is “tap tempo.” It allows you to set the tempo by simply tapping a button for every beat. Some advanced looper pedals come with “BPM setting” that allows you to fix an exact tempo that the looper pedal will use while playing the loops. “Time stretching” allows you to elongate the recording to fit the length and speed of the loop. The “auto-start” feature begins recording the instant the processor senses a guitar signal. Therefore, you won’t have to press the record button whenever you start recording. Many looping pedals allow you to play the loops in different modes such as half speed or in reverse. While many guitarists consider this a gimmick, musicians who perform live consider this an essential tool. If you like the idea of playing the loops in different modes, you can consider purchasing a looping pedal with a variety of modes. Is a looper pedal worth getting for guitar practice? Should I buy a looper if I already have a multi-effects guitar pedal without one? The looper pedal is a great versatile help, it is usually quieter and in most of the times, have the feature or features not found in the combo unit. Besides that, you can place it at the front of the signal OR at the end of the signal chain, depending on how you intend to process the sound. Here, we’ll list the 5 best looping pedals on the market and review each product in detail. The products have been picked on the basis of the 5 factors mentioned in the previous section and tested first-hand by our guitar experts. The team of experts also browsed through thousands of customer reviews and ratings to compile the list of the best looping pedals on the market. When it comes to live looping, DigiTech is a popular name. The JamMan XT model allows you to build energy in your live performance and create magical music with virtually infinite loops. If you’re looking for an ultimate stereo looping experience, this model can be a good pick. 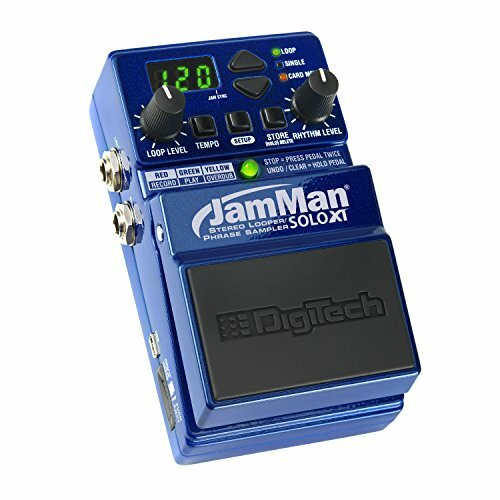 TheJamMan XT model is all about seamless transitions between different loops. The product is pre-loaded with 10 drum loops by the drummer Pat Mastelotto. With the JamMan XT looper pedal, you can layer intricate loops to straight-forward loops easily. The “Auto-Start,” “Auto-Quantize,” “3 Distinct Stop Modes,” and “Adjustable BPMs” come together to perfect your performance. BOSS RC-300 is one of the most popular looper pedals on the market. It is a huge, complex looper pedal for advanced users. So, if you’re a beginner, you can explore the other options on the list. The BOSS RC-300 looper pedal can be a great option if you want to play and sing with multiple instruments in one go. It’s especially a great option for those who play acoustic guitars. The build of the product is sturdy, and the layout is intuitive. There are various controls that are a bit complex to understand at first. However, with time, you’ll get a hang of things. The looper pedal comprises pro effects, an ultra-wide and deluxe control panel, and a master Expression pedal for delivering a stellar live performance. All you need to do is plug in your bass, guitar, keyboard, and create incredible loops in real time. Expressive onboard effects such as Vocal Effects, Transpose, Phaser, Flanger, Modulator, etc. 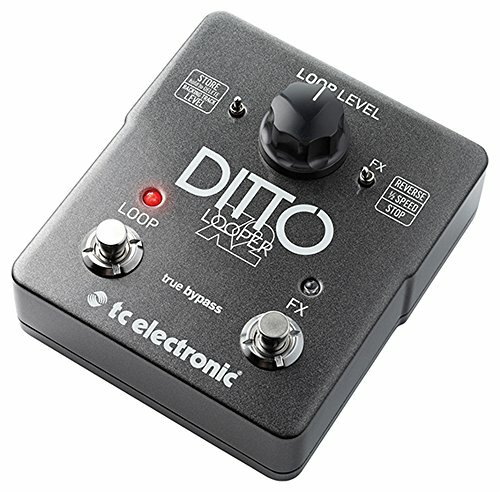 The TC Ditto X2 Looper Pedal is a good option for beginners. It is a compact, simple looper pedal that allows you to easily loop. Even though it comes with a few special functionalities and features, it does not lose its simplicity and ease of use. Within a few minutes after plugging the looping pedal, you’ll be able to use the product stress-free. Other than a few footswitches and controls, the metallic panel does not have much on its surface. You’ll just find a couple of input and output jacks at the back side. If you’re head over heels for simplicity, the TC Ditto X2 Looper Pedal is all you need. Electro-Harmonix 720 is another simple looping pedal on the list. But, don’t get fooled by the simple look and design; the looping pedal is very powerful. The build quality is great, and the product is robust. The primary difference between Electro-Harmonix 720 and Ditto X2 is the pop-less footswitch design. When it comes to the looping ability, Harmonix 720 is a few levels above Ditto X2. All in all, you’ll get 10 banks for saving the loops. You can play the loops in different modes and switch the effects by clicking the footswitch. Want more control? You can connect the 3-button foot controller and use it to browse through the memory banks or redo/undo the loops. Overall, the product is easy to use and carry. The sound quality is excellent, and so is the overall design. If you’re looking for a handy looper pedal with all important functionalities, the Electro-Harmonix 720 Looper Pedal is the one for you. The Pigtronix SPL Infinity Looper is not just a simple, mechanical jam buddy; it’s a creative looper pedal that comes with a plethora of interesting features and intuitive controls. Different recording modes, the option to pick between parallel or serial loop, and the MIDI functionality make it an extremely versatile looper pedal. Imagine, you get 50 presets and almost 100 loops. Even though the product comes with a sturdy build, it’s not very heavy. Since the looper pedal comes with 2 different loops, it acts like 2 distinct looper pedals synchronized together to form an impressive looping tool. Using the Infinity Looper, you can synchronize loop in a plethora of ways, and vary the length of the loops. By connecting an expression pedal to the Infinity Looper, you can control a variety of parameters such as the volume. If real time looping is the key to your music, the Pigtronix SPL Infinity Looper can be a great option for you. On the list of the best looper pedals on the market, there’s no looping pedal that’ll provide you with the same amount of control and creative freedom. Looping involves a lot of creativity and requires a good quality looping pedal. No two looper pedals can provide the same result; so, finding the best looper pedal based on your requirement is very important. Now that you’ve gone through the list of the best looper pedals on the market, your decision should be easy. If you’re an advanced user and are looking for a versatile looper pedal, the BOSS Multi Effect Processor (RC-300) can be a good option. It’s the best looper pedal for looping experts, especially bands. 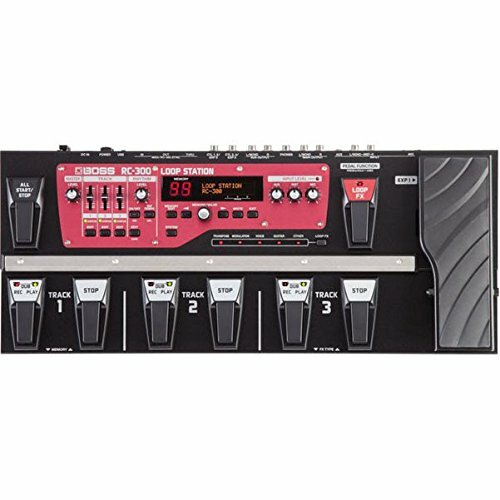 There’s no dearth of features, functionalities, controls, and switches on BOSS RC-300. It is a great looper pedal for musicians looking to create complex loops with multiple layers and textures. 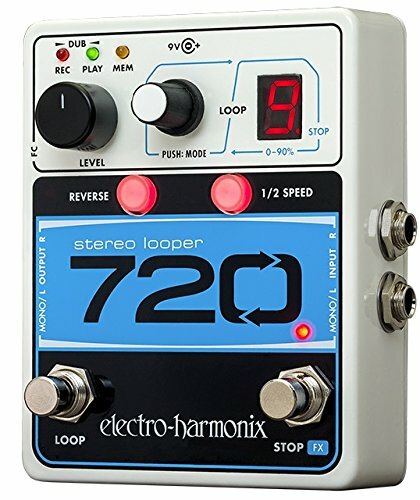 However, if you’re looking for something more basic that only allows you to overdub and record, we recommend you buy the Electro-Harmonix 720 Looper Pedal. It’s compact, lightweight, simple, and easy to use. Moreover, it’s loaded with all the necessary features in a small box. We hope you found the guide helpful. If you are still not sure which looper pedal is the best for you, give the products some more thought and clearly identify your requirements. If there are any other guitar-related products that you would like us to review, please let us know. Our experts are always ready to help you. 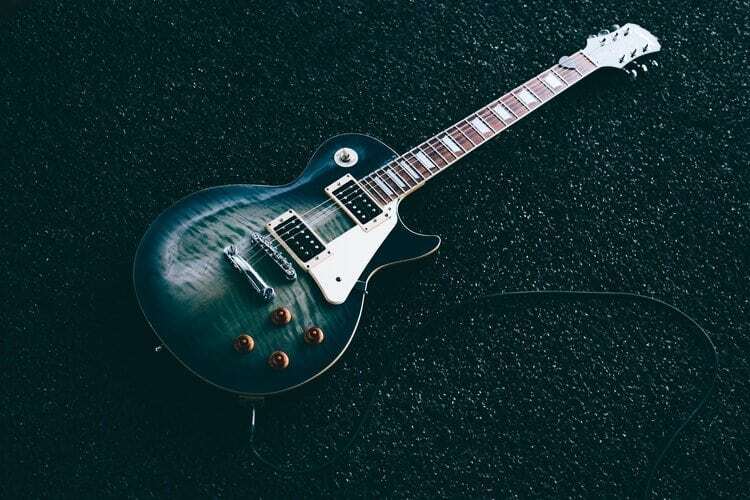 Stay in the loop for more interesting posts on guitars and guitar accessories. The Best Telecaster Pickups – Find the Right Pickup!